All great restaurants have one thing in common: great service. Training your staff is no easy task, but it’s essential to your success. With employee turnover at a record high it’s more vital than ever for restaurant operators to be great team players and inspire servers to do their best. Restaurant technology keeps your employees happy, your guests satisfied, and your bottom line higher than ever. Remind guests you accept credit cards. 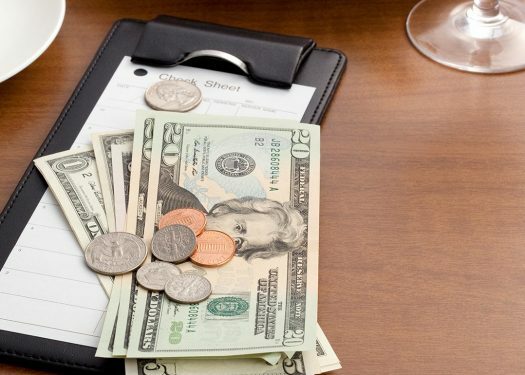 One study found that, no matter how they chose to pay for the meal, guests who could see credit card logos while checking out tipped up to 4% more than those who could not. Train your servers to introduce themselves to each party by name. This action alone can boost tips by 8%. The larger the party, the smaller the tip. Try organizing your floor so that servers have a fair shot at both large and small tables. One of the top complaints among today’s workers is the way outdated technology slows them down. This is true across industries, and the restaurant business is no exception. Proper waitlist management is essential for the flow of your floor – without it, hungry guests turn into hangry walkaways, and your busy dining room will empty out in the middle of the dinner rush. With the right technology, your staff becomes a well-oiled machine. Hosts seat guests as soon as their table is ready, and servers are neither bored nor overworked. You can even integrate kitchen display hardware to keep your busy chefs on schedule. As every employer knows, staff training is a process. Your business is constantly growing, and your staff’s expertise should grow with it. Schedule a weekly all-staff meeting, or find time for quick one-on-one talks with your star servers. If all goes well, you’ll learn as much from them as they do from you. For example – are students flocking to your cafe for that one barista’s adorable foam designs? Or are the athletes at a nearby gym asking for better smoothies? Take advice from trusted employees to improve your business for everyone. And how do you know which employees are MVPs, and which need some TLC? There’s an app for that! Use technology to track their performances, and you’ll be able to focus your attention where it’s most needed. 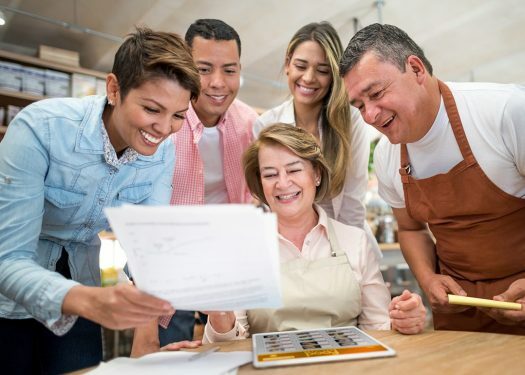 Whether it’s a new employee who doesn’t understand the dress code, a star chef who needs more help in the kitchen, or a trusted server who wants an extra shift on Thursday mornings, software can give you the details you need to place everyone where they’ll do their best. 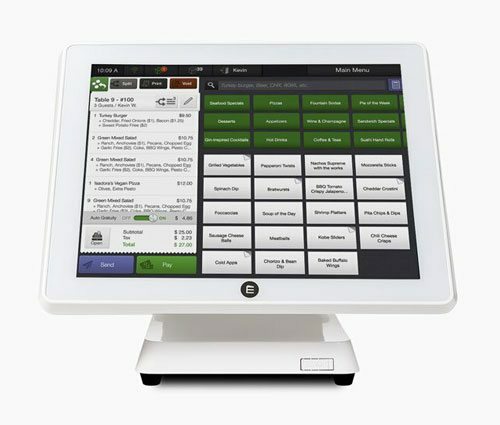 Technology helps restaurant operators get more done with better information, while saving time and money. Give your servers more flexibility, more tools to succeed, and more ways to help boost your bottom line.